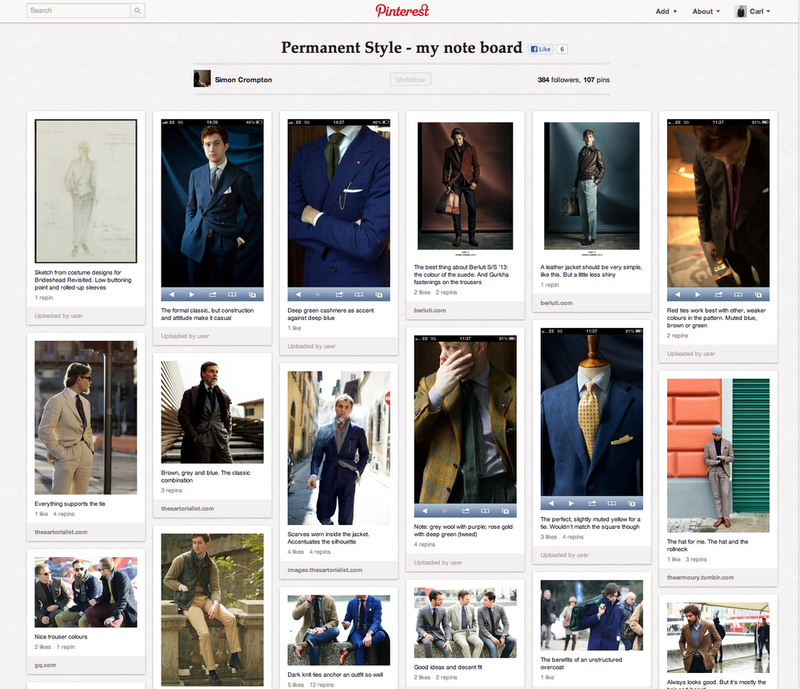 Another board worth following is Simon Crompton's style board. 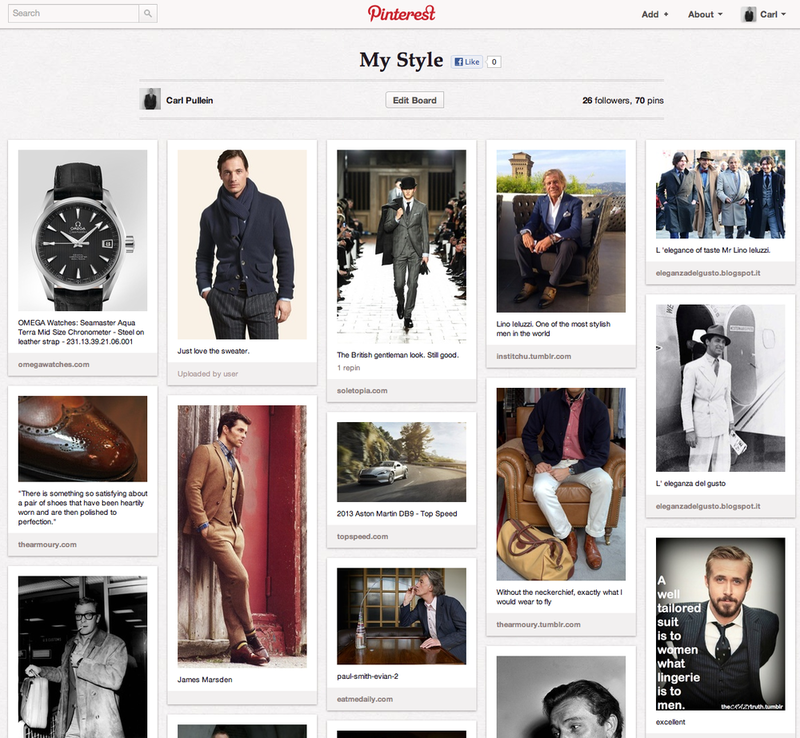 Simon is the author of Permanent Style blog which is one of my favourite style blogs. Simon adds his own take on the styles shown. Very interesting.